Cabana is a relaxed, vibrant and affordable Brasilian barbecue restaurant. The menu is inspired by the best of Brasil, with a street food selection including crispy rice "Bolinhos" and Brasilian cheesy dough balls as well as sides of sweet potato fries, black beans and Cassava chips. However, the real highlight of the restaurant is the choice of giant barbecue skewers, such as Spicy Malagueta Chicken, Butterflied Pork Tenderloin with Parmesan Crust and Chimichurri Black Gold Steak, brought to the table fresh from the grill. To finish off, Cabana offers some of the best frozen yogurt in London, including peanut butter and dulce de leite flavours, with toppings such as crushed oreo cookies and Brasilian peanut candy. Funky Brasilian music, great cocktails and quirky interiors complete this vibrant new venue. 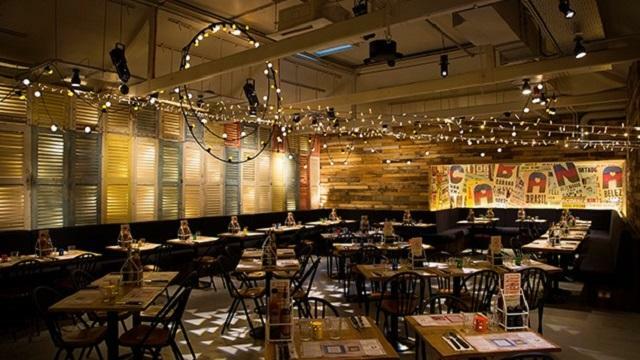 Is Cabana Brasilian Barbecue at The O2 your business?